The Pittsburgh Penguins enter tonight's game on a tear, having won 6 straight against some of the best teams in the division, and they'll take on a rookie goaltender making just his second NHL start when they host the New Jersey to face the Devils. Normally that'd be great news for any team, but given the Penguins' propensity for struggling against unknown netminders it remains an unknown. Still, it's difficult to play better than the Pens are currently playing as they smothered the Flyers 4-1 on Saturday then turned around and dominated the Capitals 6-2 on Sunday. It'll be the 4th and final meeting between the two teams this season with the Penguins having won 2 of 3, including a 6-1 rout earlier this month before the winning streak began. The Devils' misfortune is the Penguins' game as Pittsburgh will face off against a New Jersey team without Cory Schneider for the second time in as many games. Schneider hasn't played since March 4 with a knee injury, and presumably the weight of carrying the Devils on his back played a matter in the injury. Schneider had started 55 of 66 games before exiting due to injury, and his stellar play has helped buoy a weak Devils team higher in the standings than they would be otherwise. He's posted a 0.923 SV% and 2.17 GAA for New Jersey, which has been a far cry from what his backups have managed in his absence. They'll turn tonight to rookie Scott Wedgewood, and he'll make his second career start after leading the Devils to a 2-1 victory over the Columbus Blue Jackets on Sunday. Wedgewood, a 3rd round pick in 2010, has been largely below average across all levels, from the OHL to the ECHL to the AHL, although he has found some success this year in a limited number of starts. Losing Schneider is a big blow for New Jersey, because while they're a respectable 12th in the league in scoring defense at 2.51 goals against per game, they rank dead last in scoring offense with just 2.25 goals for per game, and they've lost some of the few productive players that they've had this year. 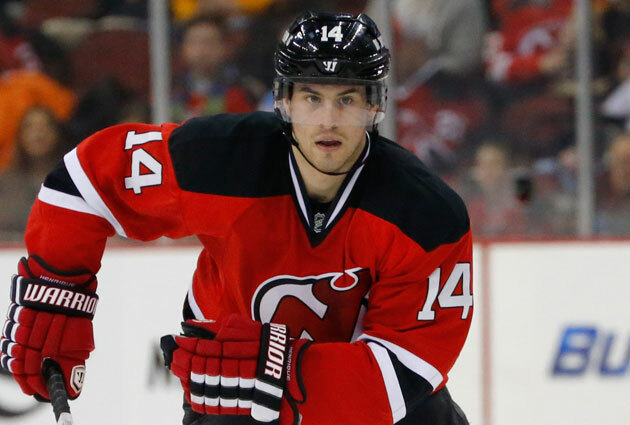 Losing Michael Cammalleri to a season-ending injury was a big blow, as Cammalleri posted nearly a point per game with 14 goals and 24 assists in 42 games, and they traded away impending free agent Lee Stempniak to the Boston Bruins at the trade deadline. Stempniak still places third on the Devils with 41 points, and only Cammalleri and Travis Zajac are within 20 points of Stempniak. That leaves just 3 active players on the New Jersey roster who have topped 20 points on the year. Leading the Devils in scoring is Kyle Palmieri with 27 goals and 23 assists, and he's looking like an offseason steal for Ray Shero after the Devils GM acquired him for a 2015 2nd round pick and 2016 3rd rounder. He's obliterated his previous career highs of 14 goals and 17 assists set in 2013-14, and he's earned himself a pay raise when he hits restricted free agency after the season. Not far behind Palmieri is Adam Henrique, who with 26 goals and 19 assists has already surpassed his career high in goals from two seasons ago and is within striking distance of the 51 points he scored during his rookie season. But Palmieri and Henrique can't carry the offensive load themselves, and it'll be imperative on Shero to find ways to shore up the scoring depth in the offseason. - Sidney Crosby extended his scoring streak to 12 games with 2 assists Sunday against the Capitals, besting his previous season long of 11 games. He has 6 goals and 14 assists over the length of the streak, and he's recently started receiving mentions as a Hart Trophy contender as the Penguins have shot up the standings and Crosby up the NHL scoring leaderboard. - Beau Bennett and Brian Dumoulin will both be gametime decisions tonight against the Devils. Bennett has played in just one game since December 14 after aggravating an injury in his return, and Dumoulin took a nasty hit into the boards from Alexander Ovechkin in Sunday's game that looked like it could potentially knock the defenseman out of the lineup for weeks.